Planning a winter wedding? 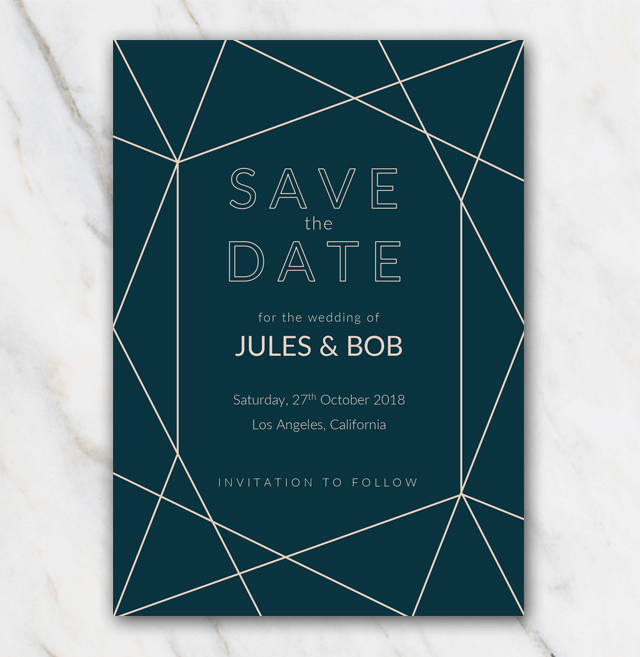 Check out this wedding save-the-date template. With the dark blue colors and the geometric lines it looks really elegant and sophisicated. Fits perfectly in a winter themed wedding. But also in an elegant summer weekend. Has a bit of a royal touch to it, right? Looking for a more playful design? Check out the other wedding save-the-date templates and get inspired!